Built by the distinguished theatre architect Rudolfe Cabanal, The Old Vic first opened its doors in 1818. 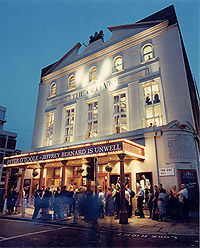 As one of the longest standing British theatres still in use, it has provided a dramatic home for many of the greatest actors over the past 150 years. 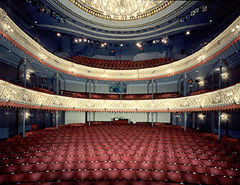 Today it remains an important national asset with its classic Victorian interior including proscenium-arched stage, horseshoe shaped seating tiers and triple tier boxes. 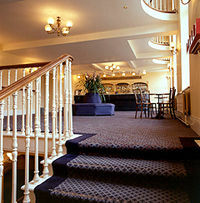 The spacious front of house bars and foyer areas are linked by a sweeping staircase. 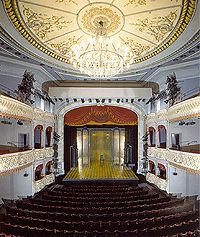 Backstage facilities include dressing rooms, wardrobe, laundry and a passenger lift to all floors. 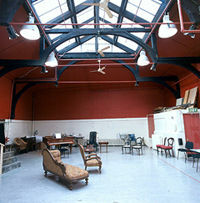 The theatre also benefits from two large rehearsal rooms which have skylight vaulted ceilings. The Old Vic is available for hire as a location and is conveniently situated close to Waterloo Station. An information pack, including full technical specifications is available on request.